I’m a list maker. I have shopping lists, packing lists, and even weekly lists for my Sunday school tote bag. You should see my Christmas list. It contains not only the receivers’ names; it has likes, sizes and colors. My meal assignments are there along with the recipes and the ingredients I need to buy. I know it sounds crazy, but these scraps of paper are essential to maintaining my sanity. Nothing aggravates me more than returning home from a shopping trip and realizing I forgot to buy a key ingredient. This is not to say every character has to have a detailed study or every scene must be outlined. A few short notes will keep the narrative clean and targeted. It’s an easy way for those of us who do not outline every scene to keep track of who’s who and their relationship to the main characters. I also like short time lines. These notes help me associate historical events with the players’ lives. I keep a small journal for each novel. The main characters have sections in the book. By allowing the extra space I can make additions and corrections as necessary. It’s a way to make sure Handsome Prince has the same color of eyes in the beginning and ending of the book. It’s also a good way to be certain Miss A and Mr. B are the correct age when they meet and become attracted to one another. It would be a shame to have a fifty year old man falling for a teenager. What’s the big deal about an ISBN? 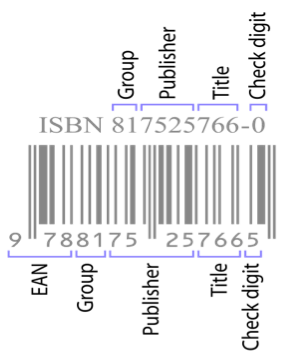 What is the ISBN and why do I need one for my book? The International Standard Book Number is most commonly known as the ISBN. It is a special numeric commercial book identifier based upon the 9-digit Standard Book Numbering (SBN) code created by Gordon Foster, Emeritus Professor of Statistics at Trinity College, Dublin, for the booksellers and stationers W. H. Smith and others in 1966. Note the different check digits in each. The part of the EAN‑13 labeled “EAN” is the Bookland country code. Through out life, isn’t it strange how the simplest experiences can stun us with a jolt of memory? More often than not, it seems this is connected to a significant loss. I walked into a welding shop eight years after my father had passed on and the smell brought tears to my eyes. The loss of a child has an even longer impact and today I’m blogging about the loss of a baby. If you are suffering from this devastating grief, just know that you have more strength than you might realize. Good days and bad days are in your future, and you’ll make it through. I’m sure you’ve already noticed that every day occurrences can knock you to your knees. For me, it’s playground equipment and the beginning of school. Every year around this time I keep thinking I should be buying three sets of school supplies instead of just two. And playground equipment always reminds me of the things our sweet baby will never experience. The haunting symbolism in this picture resonated with me, from the beam of the setting sun shining at the top of the slide, to the dead weeds at the end of the slide where a parent might be standing. His gift and talent to capture that image at that exact time makes me realize how fragile life is. A split second, and the photo would be lost and still life goes on. You must continue too. For words of hope and healing after the loss of a baby, my book GONE NEVER FORGOTTEN is now available for Kindle at amazon.com. Based on my experience, I’m offering words of hope and poems to lift you during the bad times. From my heart to yours. We worked the rodeo in Pawhuska, Oklahoma, and spent the night. Our next out was the night performance at Strong City, Kansas. There were two car loads of us traveling together, and we had all day to get there. There’s not a lot of things to see or do on that drive, and I kept trying to come up with someway to kill some time and stay out of the heat. Getting to the rodeo early just meant more time spent sweating. The route we chose took us through Sedan, Kansas, and a few miles from town I saw a billboard advertising a museum. This historic attraction featured a famous person born to the town of Sedan. Being from Kansas, I was aware of this person, although I hadn’t thought about him forever. I never mentioned the billboard, and I don’t think anybody else noticed it. I was in the lead car, so when I parked on main street of this small town, the other group pulled in as well. Everyone ambled out of the cars, stretching, looking around, and acting confused. “What are we doing here?” one kid asked. “Yeah, why are we stopping in this dink of a town?” another said. “We’re going to the Emmett Kelly Museum.” I announced with enthusiasm. “He’s a clown.” I said. They all looked at me like I was nuts, but I walked right in and paid my seventy-five cent admission and began to take it in. About half way through, I looked around at my buddies. They were all split up, not talking at all to each other, and absorbing the displays and information. Back outside on the street, I spied an ice cream parlor across the street. We spent at least an hour in there, telling stories, soaking up cool air, and taking our fill of some great ice cream. We never saw another human being besides the lady curator in the museum and the gal running the ice cream shop. Not one car even drove through town the whole time we were there. There’s always great things to see all around us. You just have to have your eyes and your mind open. I’m obsessed with stories. I read every minute that I can, and I’ve recently discovered a new time and place I can read. I’ve learned all about audio books and I listen to them while I drive to and from work. And I’m SO hooked. As a matter of fact, as much as I love music, I have not listened to the radio or my playlist in a long time because I’m “reading” instead. So guess what my writer’s mind started doing. Yep. I know it’s someone else’s idea, but ideas are not copyrighted. I could take that idea and write a completely, absolutely totally different story from the one this idea came from (and you can look for something like this from me sometime in the future). This subject sort of fits with the blog Cait wrote last week about Braylan’s miner. If you don’t remember what I’m talking about, go to Cait Collins’ blog and read Outtakes 103, Braylan’s Contest. She writes about a photo of her young friend, “Braylan” and his new friend, The Miner. She challenged readers of the blog to write a synopsis of a story about what would happen if Braylan’s miner came to life. This is an example of many different versions of the same idea. By the way, you really SHOULD go check out Cait’s contest. Sounds like a great writing exercise, and tons of fun. Kate was hospitalized for severe nausea and vomiting in December. Quite a scare for the world to witness. Her pregnancy was marred at this time by the death of Jacintha Saldanha, the nurse who took a crank call by a radio station posing as the Queen. Can you imagine what kind of wonderful nurse Jacintha must have been? I wonder who the nurses were that attended Kate and William during the delivery. What an honor to be chosen to be there at such a special time in someone’s life. I was a nurse for so many years in so many capacities on so many floors. I began my nursing career at age sixteen working in a nursing home as an aide caring for pioneers that were still living, listening to their wisdom, sharing their stories. For several years after that I was on the eye, ear, nose, throat and plastic surgery floor doing pre-op and post-op teaching, attending to tonsils, cataracts, burns, and ten days old cleft palate babies. The day surgery kids and cataract patients came in the night before, had their surgery, stayed that night and went home the next day. Now, as soon as their eyes open they are out the door. I wished I had an idea of how many thousands of seminars, workshops, classes etc. that I have attended with almost 50 years of nursing. My mother was a nurse and graduate of Northwest Texas Hospital School of Nursing, her first job at the Neblett Hospital hired by Dr. Neblett himself. My great aunt was a nurse in Galveston and died during the flu epidemic of 1918 after she had attended a family with the flu. They said when she came home that day, put her head down on the table and died. What a tragic legacy to remember. My grandmother didn’t want mother to go into nursing for just that reason. Over the years in my nursing career there have been so many wonderful mentors that have given me terrific guidance. At Palo Duro Hospital I learned such skills and care by those who share their passion and love through their dedication in a small town, rural hospital. Living or legacy I gain inspiration from them all. Florence Nightingale, a “social entrepreneur” is just one of the nurses-the ladies with the lamp-who led the way. As a writer and nurse I know there are billions of opportunities to write in this field. Not to expose any secrets, but to share of life. There are so many nursing magazines that welcome stories for their pages. Blogs about empathy and caring abound throughout the world. Even if you aren’t a nurse, at one time in your life you were probably a patient. Focus on a memory concerning your experience and celebrate something connected. Think about sending a note to the hospital even though it may have been years. Nurses always appreciate sweet thoughts to sustain them through dark days. Even if that particular person is long gone. The sentiment will always remain the same. I still treasure the notes I received so many years ago. That reminds me, I have about a thousand stories I need to write, and about a gazillion letters to send. I better get busy. Prince George will be grown before you know it. Today I have reached a milestone. Outtakes 104 marks two years of blogs on Wordsmith Six. I never imagined we would reach this point. One year I could accept, but never two. It’s hard to believe I have published an original work each week. It hasn’t been easy. Some weeks I agonized over the blog. I had no idea what I would say. Sometimes the effort was a hit, but there have been plenty of misses. The satisfaction is in what I have learned along the way. Commitment keeps me focused. When we first started the blog, I was concerned it wouldn’t last. Maybe we’d struggle along for a few months, but after awhile we’d allow life to interfere with our blog site. We’d begin missing a week here and there. Soon it would be consecutive weeks, and then we’d stop. That hasn’t happened. Over all, we have maintained our commitment to the site and to our readers. 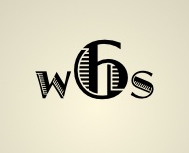 We discuss ways to improve Wordsmith Six so that our fellow writers and readers will want to return to our blog site. Respect for deadlines. I’m not a techno-geek. There are times when I bang my head on my desk because I can’t remember how to number the pages in my manuscript. About the time I get a handle on the program, it changes. Needless to say, I have no idea how to manage the mechanics of running a blog site. Thank you, Craig Keel for shouldering that task. You give so much to the group I can’t imagine missing a Tuesday deadline. I might post my weekly Outtakes at 9:30 or 10 in the evening, but I have to get it in. It wouldn’t be fair or right to do otherwise. It’s great therapy. I can have an absolutely awful day at work. My tongue hurts from biting it. But when I get home, I can write a scathing piece decrying all the injustices in the world, press control A and delete. Bingo, the heated words are gone, my blood pressure is back to normal, and my honor and reputation remain intact. No one’s the wiser and it’s cheaper than a therapist. I enjoy writing Outtakes. I spend my day writing business correspondence. It’s a totally different format than writing a novel, memoir, screenplay, or play. But then writing a blog is new. I keep looking for ways to improve my presentation. I go through books, magazines, newspapers looking for new ideas. I plan to keep on stretching my wings. Finally, it provides opportunities to connect with fellow writers and readers. You are the reason I am committed to another 52 weeks of blogs. From the beginning I said I didn’t have aha moments or deep insight into the craft of writing. I simply love what I do. Don’t forget Braylan’s Contest. You still have time to submit your synopsis to bcollins16@suddenlink.net. The rules are in Outtakes 103. I look forward to reading your ideas. What do you dream about when you sleep? Do you have fantastical visions of pink and purple grasses and talking trees underneath a turquois moon? Or maybe you dream you’re falling and know you must wake up before you hit the bottom. I once dreamed a scary clown was lying on the floor between my bed and the wall. I woke up when my son cried from another room because zombies were chasing him, but I was afraid to get up because I didn’t want the clown to grab my ankle. The world of psychology tells us that dreams are our subconscious minds sending us messages. While some of these messages are very easy to understand (dreaming of an accident may cause us to be more cautious during the day), most of them are so cryptic we have a hard time decoding them. If we wake up and can remember some of what our dream was during the night, that might be a clue that we have the makings of a story. I like to write down things I saw during the night, people I might have met, and feelings I might have had. Somewhere in the hazy illogical world of night vision, an interesting subject or character will appear, and you can fill in whatever blanks you might have and come up with a great tale. Keep a pencil and paper near your bed so you can write down any parts of a dream as soon as your eyes pop open in the morning before it withers away in the sunlight. Keep a dream diary. Find music that brings back some of the feel of what you dreamed. You’ll have a great story beginning.